You are here: Home / Why ProSel Commerce? ProSel Commerce™ is the enterprise-caliber, online quoting, order-management, e-commerce and e-procurement solution designed specifically for today’s business-to-business sellers seeking to leverage web technologies for maximized sales growth and profitability. It’s a fully integrated sales and marketing automation platform that will engage your customers interactively and empower your sales team, giving you a competitive edge in today’s online world. ProSel Commerce’s unique Multi-Portal™ e-commerce design insures that your system can reflect your own expertise, brand identity and market focus, while at the same time acknowledging that each client or market segment may have unique needs or requirements. The system versatility provided by unlimited store-sites or client portals insures you can engage with every client in a personalized manner – a key to growing your sales online! 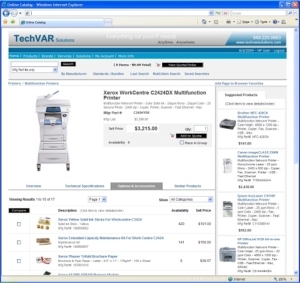 Products are a key part of most solutions and drive many add-on services. 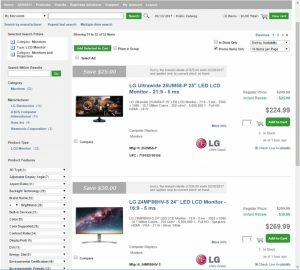 Dynamic product search across all manufacturers and suppliers, via a unified product database (featuring parametric searching and product filtering) provides quicker access to information and more informed decision making for customers and sales team alike. 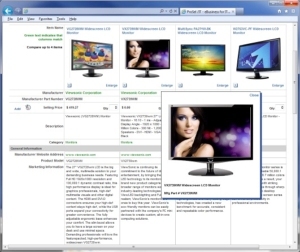 ProSel Commerce has been developed to take full advantage of the rich product information of Spex Plus™, from Etilize, Inc., the leading worldwide source of uniform product content, to make populating your system a breeze. 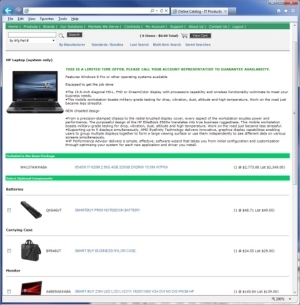 For example, our ProSel /IT edition comes with product content of over 2,000,000 IT and Consumer Electronic products which provides detailed product descriptions, technical specifications and side-by-side product comparisons ready for sales team or customer use online, 24 x 7. 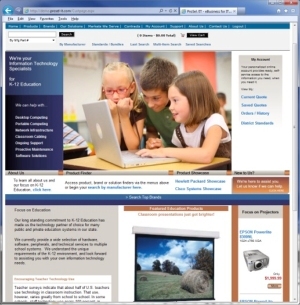 This keeps your customers focused on your business instead of competitor or supplier websites. Flexible product display options allow for enhanced product merchandising, up-selling and cross-selling to increase sales and margins. ProSel Commerce’s open architecture makes it easy to add custom content, manufacturer syndicated content, third party web tools, or whatever you need to engage your clients to help you sell. 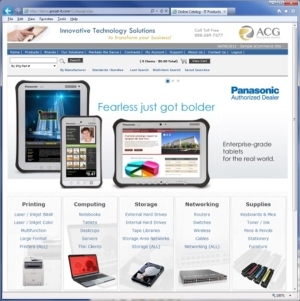 Fully customizable category, brand and solution ‘Showcase’ pages allow you to promote your own solutions and expertise and make your existing website truly interactive, while reflecting your unique brand message and competitive advantage. 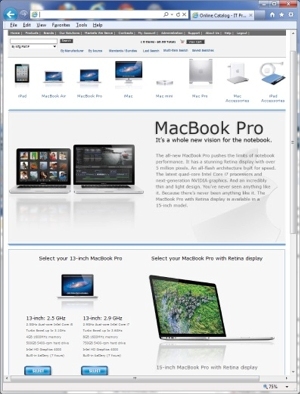 ProSel Commerce can enhance your traditional website as an add-on, or replace it completely as a fully-integrated site. Specialized editions of ProSel Commerce offer features and functionality to make it a great fit for your specific industry. 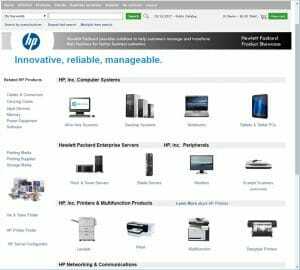 For example, with our ProSel /IT edition, integrated Real-time Price & Availability for leading IT distributors and other sources speeds decision making, saves money and simplifies product sourcing. With features designed specifically for the IT reseller channel, ProSel /IT will make your entire sales process more efficient. And with ProSel Commerce’s open architecture, there are no practical limits on tailoring your system to meet the specific needs of your industry or your unique business. 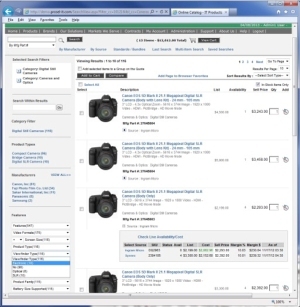 Versatile, advanced web-based quote/order management enhances sales team productivity and collaboration, and enables quote preparation from anywhere, anytime, while providing superior management visibility. Sharing quotes and orders between customers and sales team is made easy online; to aid collaboration, speed up decision making and to streamline your sales process. ProSel Commerce’s custom catalogs offer a powerful way to help your customers enhance their own purchasing process, in a convenient, cost-saving manner. Contract pricing, pre-approved ‘company standards’, pre-configured product bundles, user-definable access rights, and a host of other features can be utilized to address unique customer needs in a way that saves them time and money. 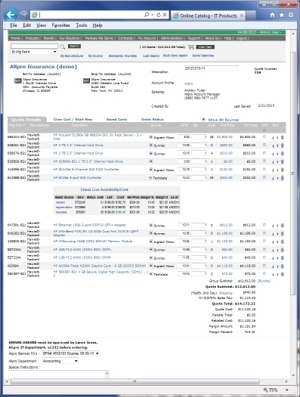 Unlimited client portal sites, private or public, combined with individual client and user personalization, unlimited customer-specific custom fields and client-side e-procurement punch-out integration (Ariba™, Oracle™, SAP™, etc.) can address practically any unique contract, client or market requirements. On-premise, delivered from the cloud or fully managed and administered by us, ProSel Commerce is unique in that it can be deployed in the manner that makes the most sense for you. And if your needs change, rest assured that your solution and data are completely portable, so that you are never locked into a method that is not what you need. This is investment protection of the best kind.